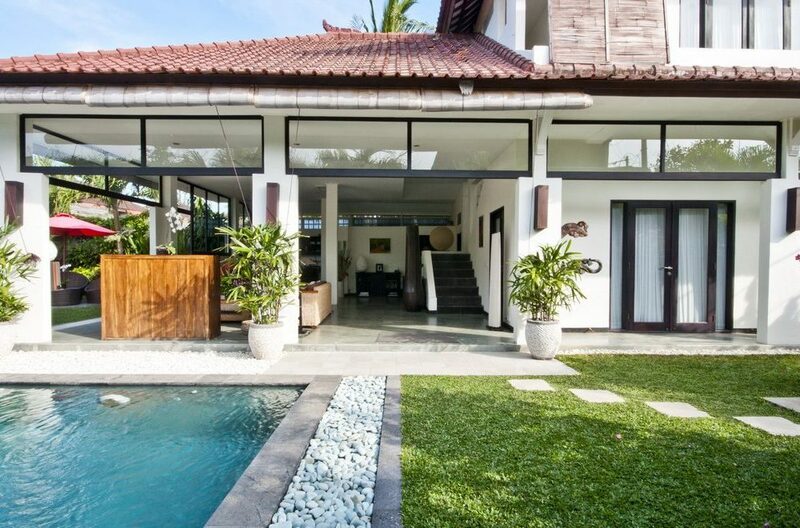 Villa Surga is just the right 2 bedroom Seminyak holiday villa rental if you’re looking for an affordable 2 bedder with a little extra space. 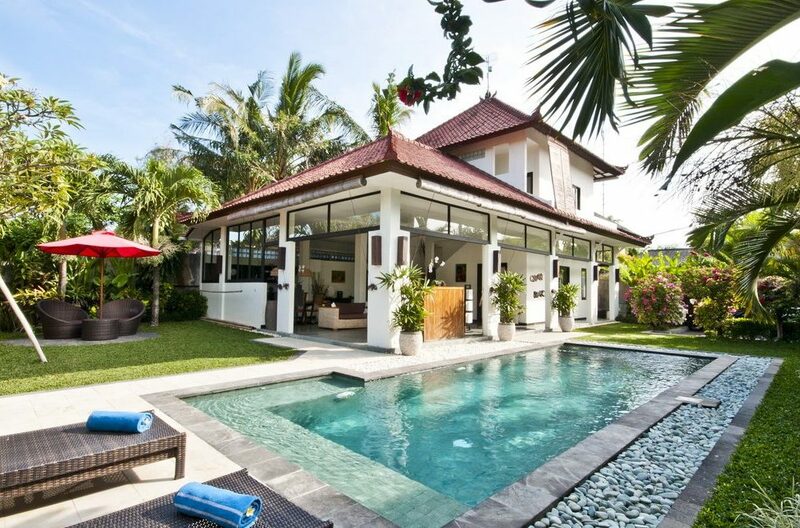 Situated in Bali’s most sought after tourist precinct of Seminyak, it provides peace and quiet, a very well sized garden with private pool and an abundance of space for the kids to really enjoy themselves. 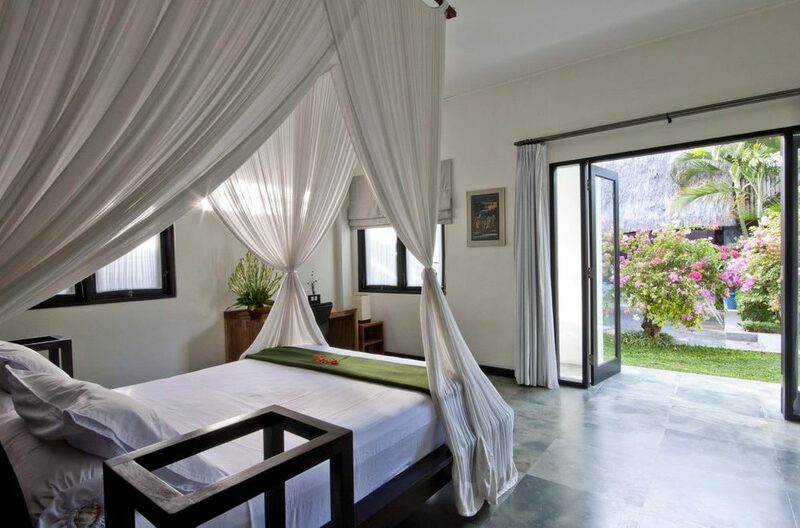 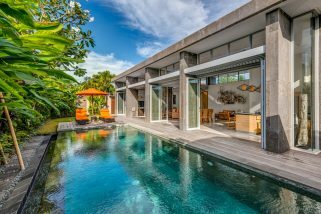 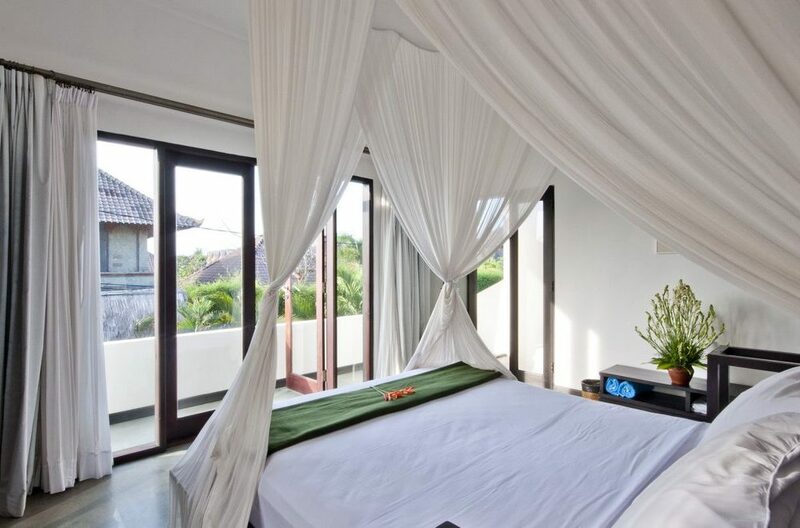 Built over two levels the villa has a bedroom on each level, spacious open-plan living areas and you can easily walk to the famous Ku De TA Beach Club and Seminyak Beach. 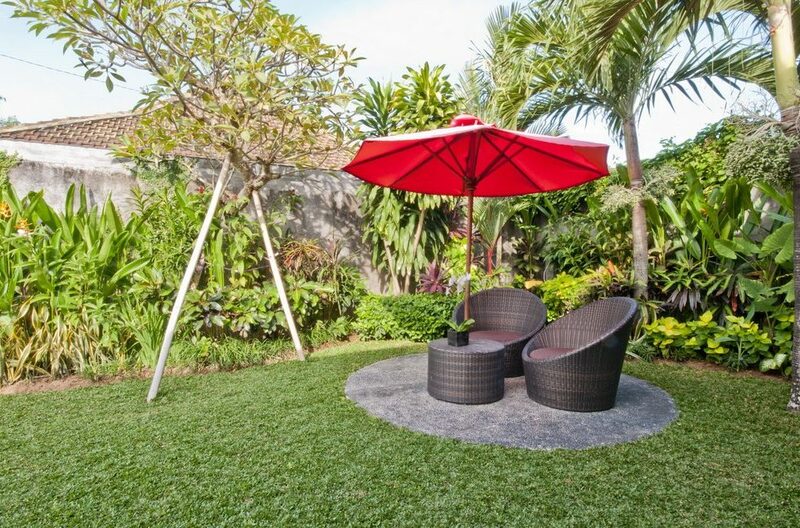 The very spacious garden, considering this is a two bedroom holiday villa, features a 4 x 9 metre swimming pool, generous sun decks for sun baking complimented with double sized sun lounges for the tan enthusiasts or if you prefer a little shade there are rattan day beds tucked away out of the direct sun, perfect for reading a book, enjoying an in-house massage or just simply relaxing. 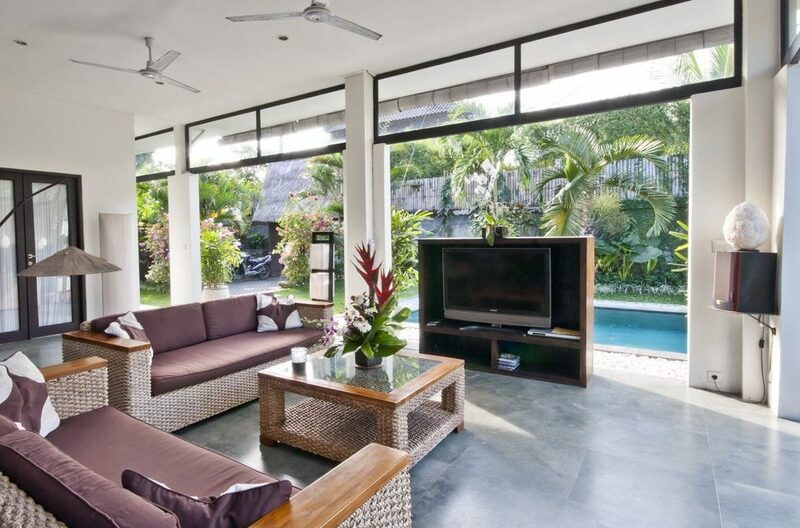 The villas interiors have it all, open-sided so you can enjoy the views of the pool and garden with ceiling fans to circulate cooling sea breezes. 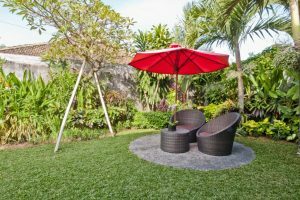 Two rattan lounges offer a comfy spot to sit watching TV right by the pool with a great sound system as well for some romantic dinner tunes or up-beat party music as the night turns into party mode. 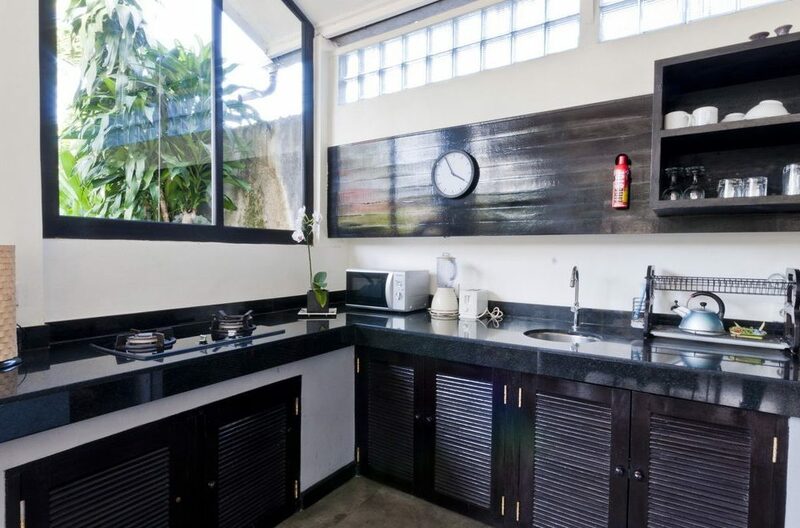 There is a fully equipped modern kitchen and the timber dining table easily caters for up to 6 or more guests. As with the rest of the villa the two bedrooms are certainly not short on plenty of space. 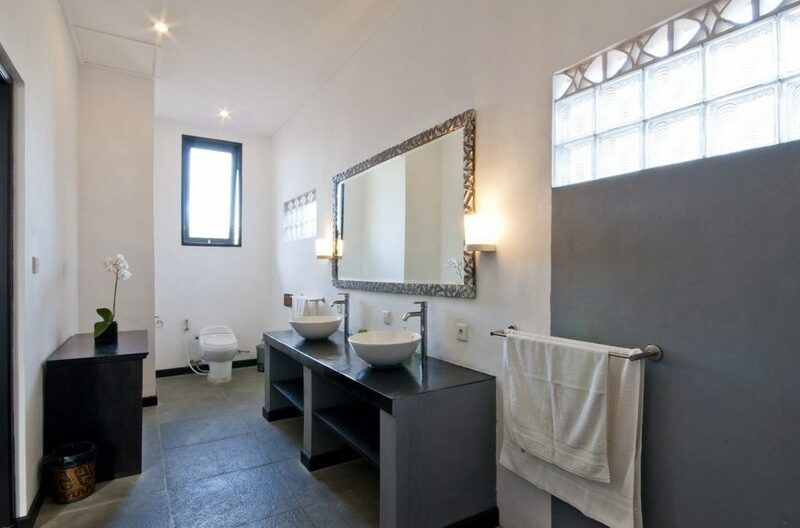 There is a bedroom located on the ground floor as well as the upper floor to give guests plenty of privacy. 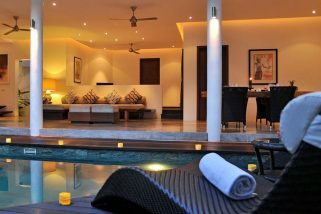 The upstairs bedroom has a sun deck whilst the ground floor room puts right on the pool deck for morning swims. 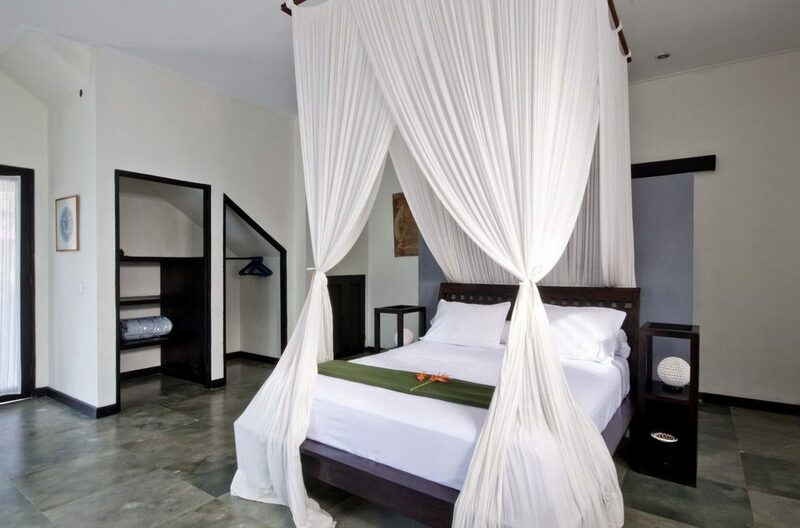 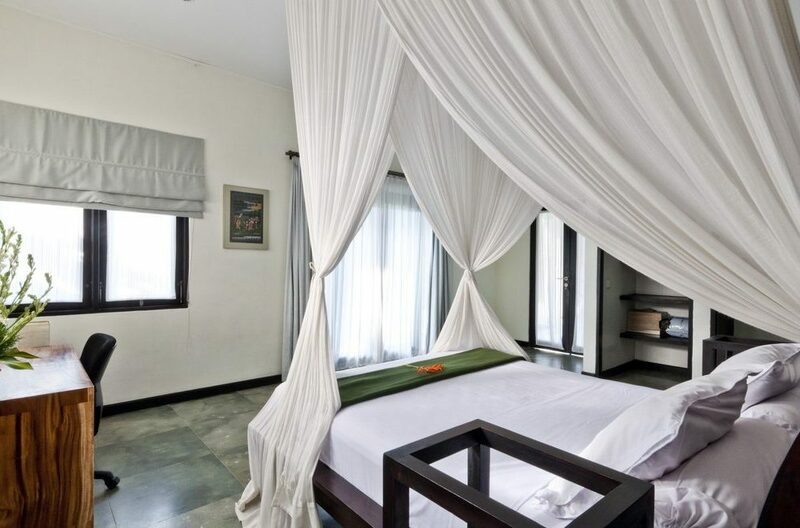 The rooms are furnished with beach house vibed, white washed timbers and you’re sure to sleep well in your four-poster beds, draped in sheer white netting, each room has a private en-suite. 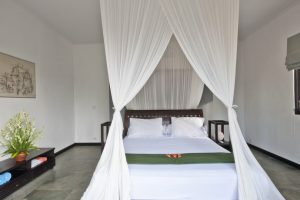 The villas staff consists of a house maid who will do all the cleaning of the villa each day, quickly, quietly and efficiently at a time that suits you. 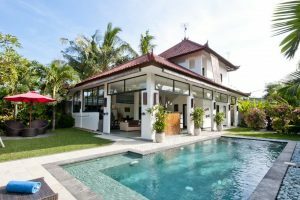 She will also prepare a hearty breakfast and other authentic Indonesian dishes upon request as well as doing any grocery shopping. 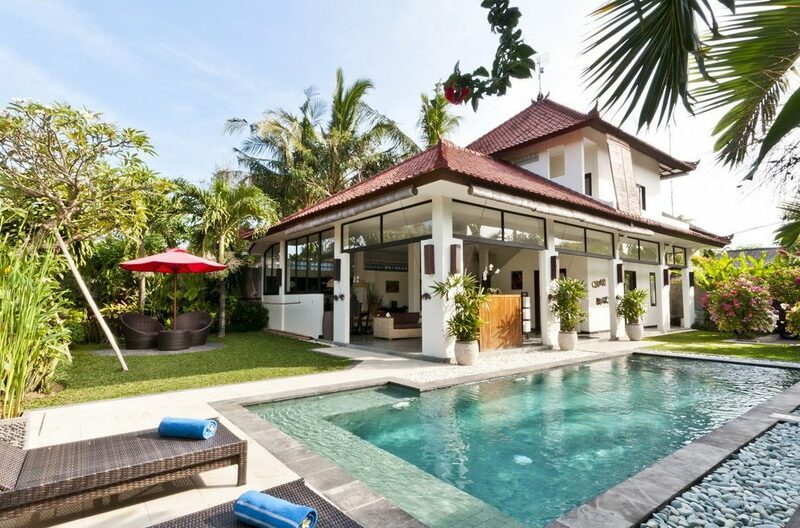 Villa Surga is perfectly located in the heart of cosmopolitan Seminyak and most importantly is within easy walking distance of the beach. 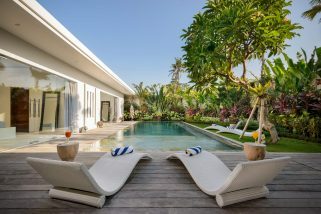 The villa is just a 5 min walk to possibly Bali’s most famous and high end Beach Clubs; Ku De Ta & Potato Head located right on the sand at Seminyak Beach. In the morning talk a leisurely stroll to Sea Circus for great coffee and some smashed avocado on sourdough. 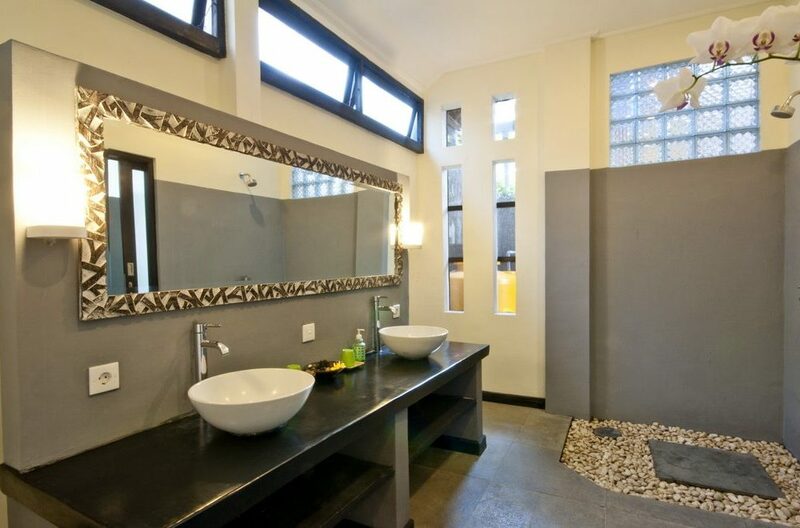 Lunch, well why not try Vin+ with its amazing wine selection or The Kiln, a new restaurant on the Petitenget Street. 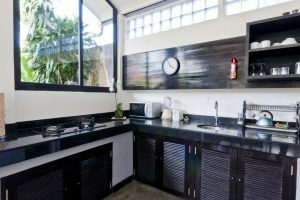 If your a vegan try Kynd as well. 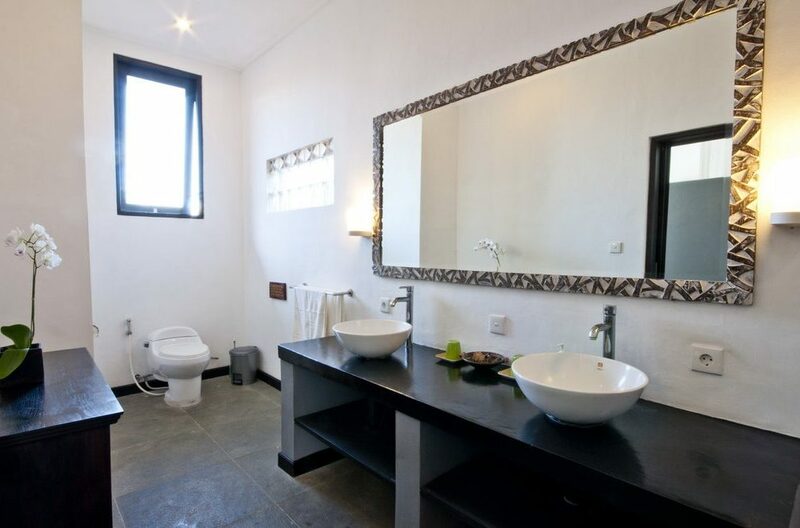 For dinner why not really spoil yourself at the famous La Luciola beachfront restaurant. 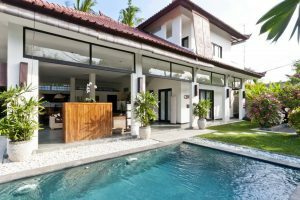 For the kids try Hanks Pizza, Johnny Rockets or head to Seminyak Square where there are loads of eating options and family friendly restaurants. 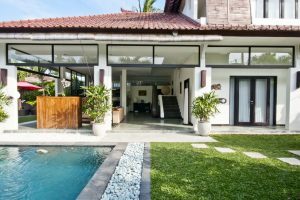 To view other affordable Seminyak villas or our complete range of 2 bedroom Bali Villas or budget Bali Villas please browse this website or contact our reservation team. 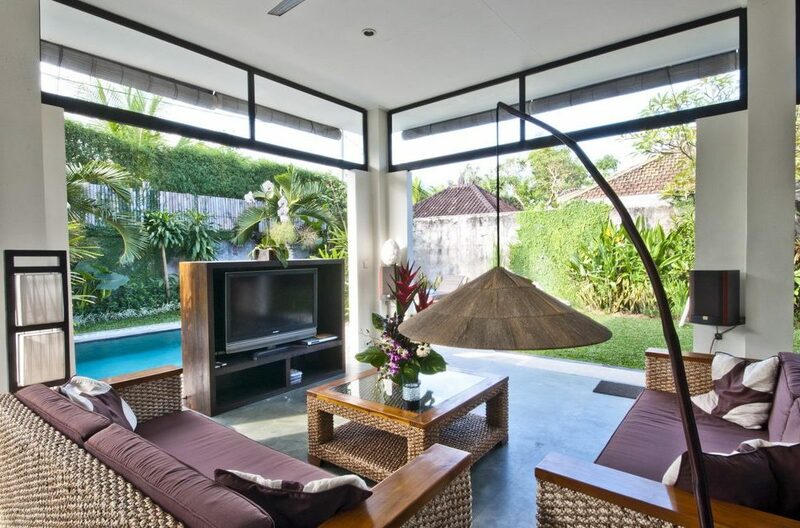 This is a popular Seminyak holiday villa so if your planning a trip to Bali especially during the Australian school or public holidays please book Villa Surga well in advance. 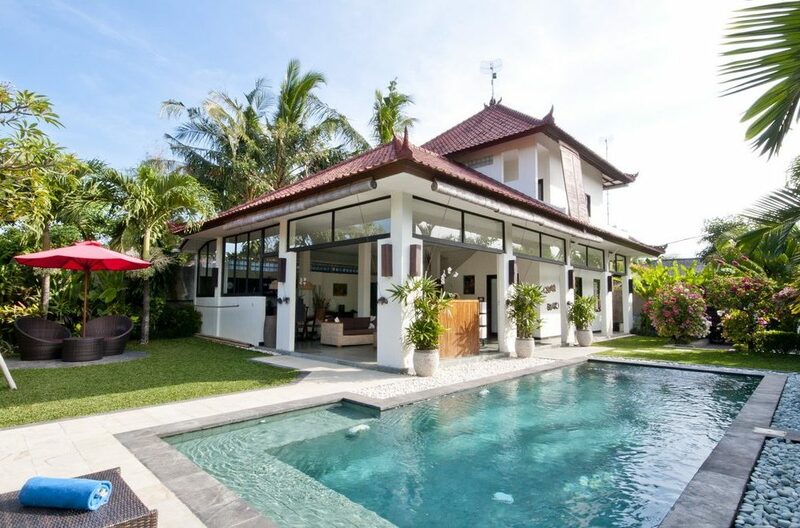 Superb 3 Bedroom Family Villa, comfortably sleeps 6 guests, central Seminyak location, modern design in secure complex, outstanding value for money. 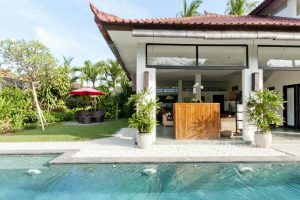 Villa La Sirena is located just a short stroll from the beach tucked in a quiet lane where you feel miles away from anyone.